Skip the cubicle and pursue this career that's in high demand. Designing, installing, and repairing electrical systems in commercial buildings is the job of a commercial electrician. 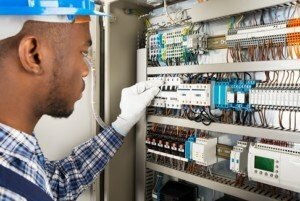 Of the many jobs available in the construction industry, the commercial electrician may be the most important because electrical power is required for almost everything that services the building equipment and provides lighting, heating, and air conditioning for the employees working within the commercial structure. Commercial electricians read blueprints and follow technical drawings to install and maintain both electrical wiring and controls in a factory, industrial plant, airport, office, or other commercial building. The wiring is run through conduits to electrical panels, breakers, and relays according to local electrical codes. The safety of all of the electrical components is very important and tests are often performed to ensure all components are working correctly. Electrical problems such as breaks in the electrical system are also solved by the commercial electrician by repairing or replacing wiring as needed. The median annual salary for a commercial electrician is $54,100. Those working in this position normally work indoors and follow a regular schedule, but overtime or work on weekends or evenings is sometimes required in the event of a breakdown or to keep up with a construction schedule. Students interested in the position of commercial electrician must have a high school diploma or GED. Most entering this field complete an apprenticeship with an electrical contractor but training is also available through a technical school or community college. An associate degree can be earned by completion of study of a commercial electrical program in accordance with standards established by the National Electrical Code. 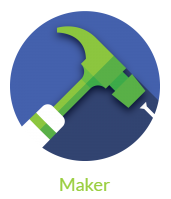 Some states require both on-the-job training and classroom instruction. The next step is to successfully complete a journeyman examination which tests knowledge of building codes, safety procedures, materials, and tools in addition to the candidate’s knowledge of electrical theory. Many states require an electrician’s license. The position of commercial electrician can also be a step toward the position of electrical engineer for a student wishing to complete a four-year degree in the future. Calculations concerning the electrical load a circuit can handle are often done by a commercial electrician and algebra is an important high school course to take in preparation for this career. Computer skills are also helpful in this position. Knowledge of electrical circuits and the behavior of electricity is obviously helpful, making physics courses essential. The commercial electrician must be agile because climbing ladders, standing for long periods, and lifting heavy equipment are part of the job. Physical education and sports participation in high school will assure the strength and good health required. The electrical component of commercial construction projects is critical for safe operation and efficient production. The commercial electrician career is complex, but offers high-paying job prospects. Not sure whether commercial electrician is the right job for you? Check out these other STEM careers in construction.